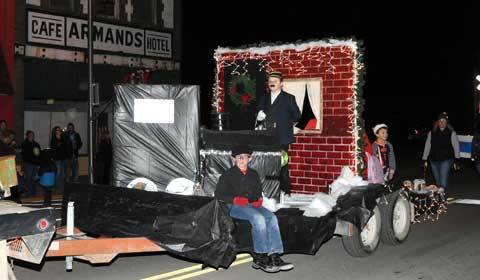 Willing Workers 4-H Club’s float celebrated Christmas legends. The Osage City Chamber of Commerce celebrated “Legends, Rails and Jingle Bells” during the annual Christmas on Market Street on Saturday, Nov. 26, 2016. 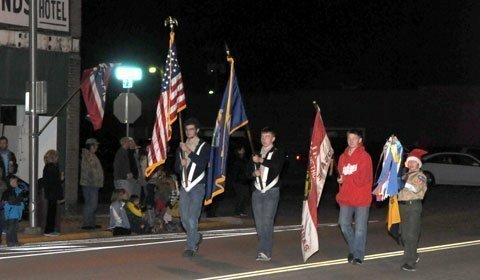 The annual celebration opens the Christmas holiday season in Osage City, with a lighted Christmas parade and lighting of the downtown lights as a finale. 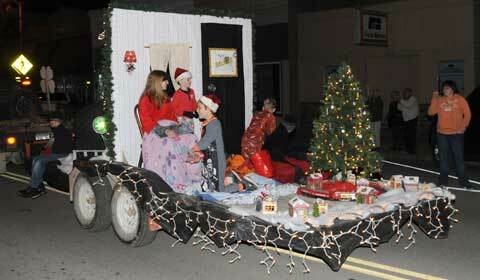 Float winners did their part to brighten up the parade with Christmas lights and holiday cheer. Winners were: Willing Workers 4-H Club, first place; Hometown Healthcare, second place; and J.P. Tree Service. This year’s parade also had an added category for decorated ATVs and golf carts; first place winner was Cameron’s Pumpkin Patch, with second place going to the Jodi Lohmeyer-Stark Agency. The parade was organized by Cherity Kerns and other volunteers, and announced by Willie Atchison. For more parade photos, visit Osage County News’ photo gallery here. Local Boy Scouts led the parade with the colors. 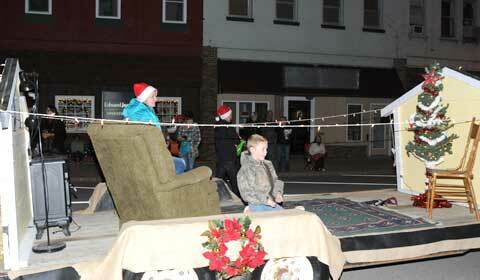 Hometown Healthcare’s float highlighted good old-fashioned Christmases at home. 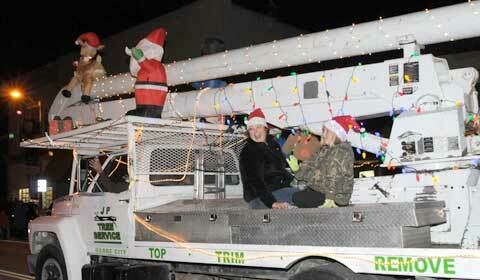 J.P. Tree Service’s third-place float was festively lit and decorated. Willing Workers’ dual-scene float featured a legendary Christmas morning. 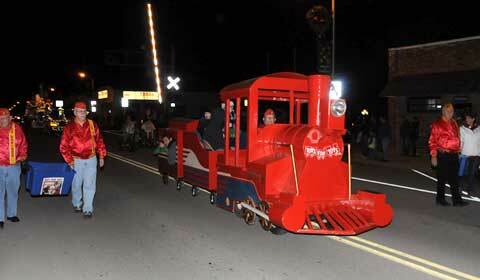 Chugging down Market Street with their own train, Toys for Tots volunteers loaded cargo donated during the parade. The local toy drive continues until Dec. 7.